If you were concerned by the recent Facebook data scandal, you may want to start thinking about protecting your information on the social media channel, or even deleting your account completely. The privacy settings can be a maze, especially if you don’t even know what you’re looking for. In this article, Bravr’s social media manager, Anya, shares a few things you can do right now to protect your data. 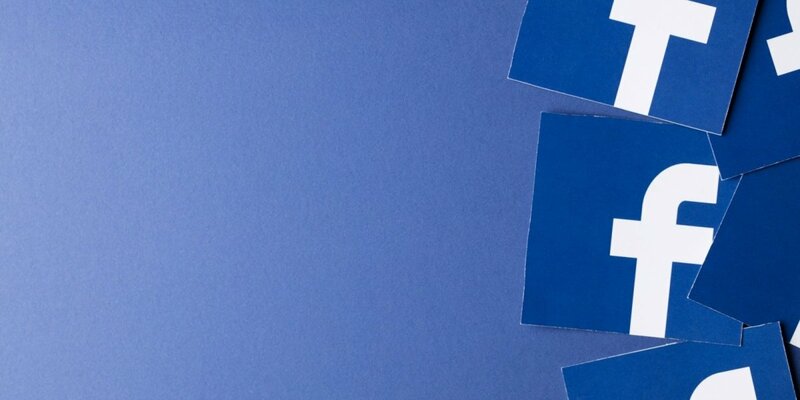 Which apps can use your Facebook information? Many of us don’t realise that by logging into a website with Facebook or by taking a seemingly harmless personality test, that we’re actually giving them permission to see some of our private information. The kind of information you are handing over may surprise you. Thankfully, sorting this out is very easy. 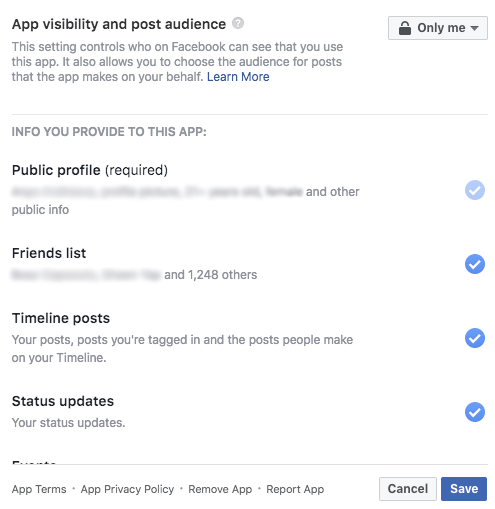 Just click on the app settings page or follow this path: click the down arrow on the top right of your Facebook page, then choose “settings”, then choose “apps” in the left tabs. Here you will see a list of apps that you have connected to your Facebook account. If you see apps that you regularly use (e.g. MailChimp, Amazon or Hootsuite), then it’s ok to leave them there so you don’t have to keep giving them access every time you log in to their site. However, if you see something that you haven’t used in a while (Candy Crush?) or apps that you don’t even recognise – just hover over the app and click the X. Don’t worry, if you’ve de-authorised something by accident, you can always reconnect. You’re not deleting your account with that app, just it’s authorisation to access your Facebook. If you want to take this a step further, hover over the app and click the little pencil icon to edit the settings. Here you can see exactly what you allow these apps to know about you and do on your page. Some of these options are required for the app to work so don’t go unticking everything. Just use your common sense, if a basic photo-editing app wants to know your date of birth, post on your behalf, manage your pages and know what time you walked the dog this morning, then you can safely untick those buttons. If you click on the “edit” button, you will see exactly what your friends can share about you with their apps. If you don’t want your information to be shared, then just untick the checkboxes. If you go through the Facebook settings, you will only see an option to deactivate your account. Your profile will be disabled, but all of your data will still stay on their servers, hoping that you will change your mind and come back. 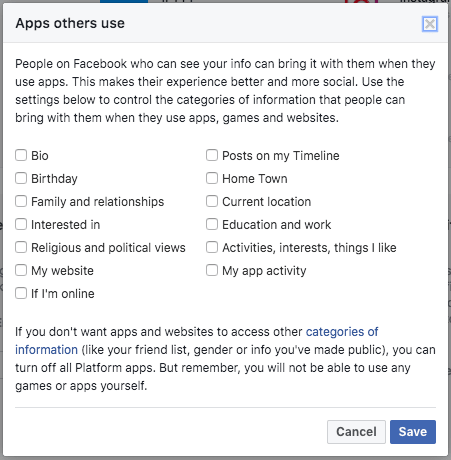 If you want to permanently delete your Facebook account, you need to click on the well-hidden option in a help document. In the first paragraph you will see the line “if you’d like your account permanently deleted with no option for recovery, log into your account and let us know”. Clicking on the “let us know” will take you to the official account deletion page. Deleting your Facebook account isn’t a quick process though. Even after doing the steps above, your account will first be deactivated for 2 weeks, and then it will begin the 90-day process or erasing all your data from their servers.